U Can't Anvil The Truth: Knife Compelled Man With Instructions To Yell ALLAHU AKBAR...That's Some Prop YA??? Knife Compelled Man With Instructions To Yell ALLAHU AKBAR...That's Some Prop YA??? A man wielding a large kitchen knife killed one and wounded four others after storming into a supermarket in the German city of Hamburg. 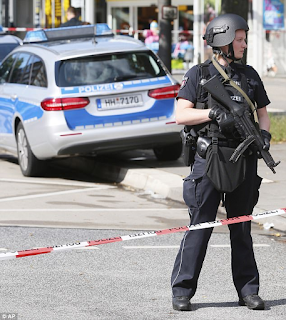 The attacker is reported to have screamed 'Allahu Akbar' before running into the Edeka shop where he stabbed one person and slashed at four others while trying to flee. He was pursued by passers-by who wrestled him to the ground and called the police, who later arrested him. One officer said there was 'no valid information on the motive of the attacker' who has yet to be identified. 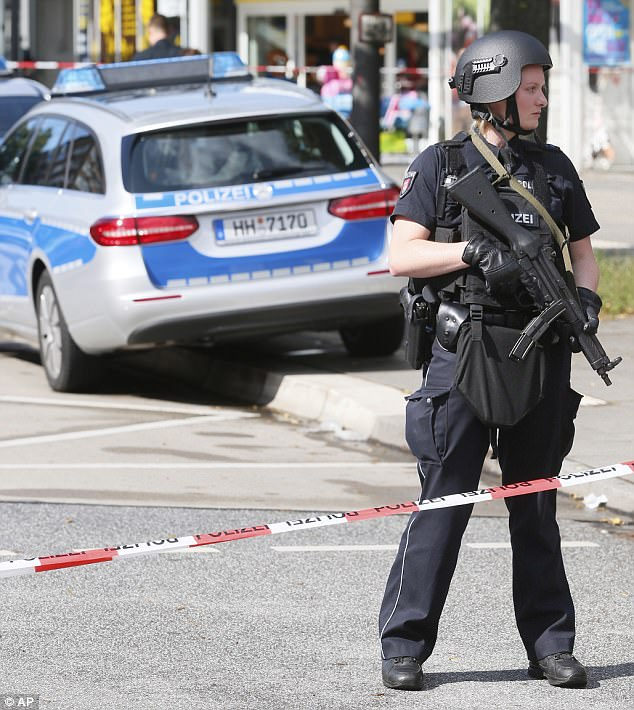 German daily Bild published a photo of the attacker in the back of a police car with a white, blood-soaked bag over his head. Yet another manufactured hoax...this time the cop’s license plate is their mocking prop for this knife weilding stunt. They always like to mock the GOYS and that’s because most of them aren’t aware of the significance of their coded message.